For seven years, Diana Lorence and her husband lived in an unelectrified, twelve-by-twelve-foot house they built themselves, hidden in the woods, in a world lit only by fire. Diana’s Innermost Life answered her deepest need for something we have all left behind. Her life reminds us that it is not too late to regain the Paradise we have lost. What she has done in her way, we may do in our own. We each see something of ourselves in Diana's beautiful story. We all have an Innermost Life. "I AM STILL A LITTLE STUNNED BY THE WHOLE EXPERIENCE. . . OPENS THE SOUL TO MEANING AND THE HEART TO FEELING LIFE ON A DEEPER LEVEL." "My wife recently sent me a photo of this small home... without a description or an explanation. She knew it didn't need one. I looked at the photo for a long time and felt the weight of a hectic life being washed away... 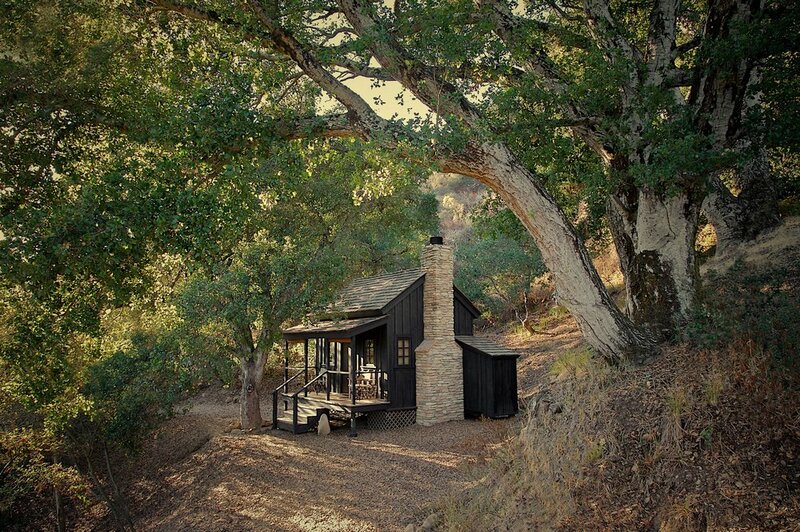 The small board-and-batten clad cabin...evoked a wave of peace in me. I have seen "tiny" homes before, but none struck me in the way this one did." "Sometimes you come across something and it makes your heart beat a little faster, your hope grow a little stronger, your love grow a little deeper, your belief a little firmer, your passions a little fiercer. It moves you. Changes you. Revives you. Uplifts you. Innermost House is one of those things." —What New Mystery Is This?